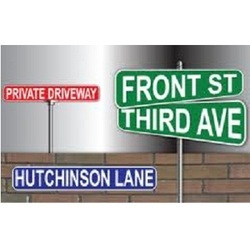 Our Street Name Signs are made from high quality reflective films on aluminum. The high intensity reflective street name signs meet federal regulations, as they are more reflective and brighter at night-time. Many other styles of street name signs are available upon request. Matching up with the requirements of our clients, we are involved in offering Reflective Street Sign. In order to meet excellent quality standards, we are supplying SS. Sign Board (Corp Street Name Board). Our reputed entity is engaged in supplying Street Name Signs. We are engaged in offering Street Name Signs. We are immersed in providing an extensive range ofStreet Name Signs to our prestigious clients. These boards are highly demanding among clients for their designs and flawlessness. We are manufacturing Overhead Signage which are used for giving information on highways, roads, parking and streets. 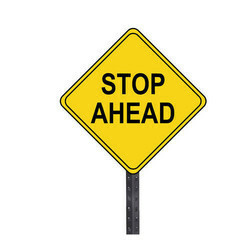 These overhead signages are manufactured as per the industrial standards by using cutting edge technology which ensures their strength and durability. We can provide these overhead signage to our clients in various sizes for their varied requirements.